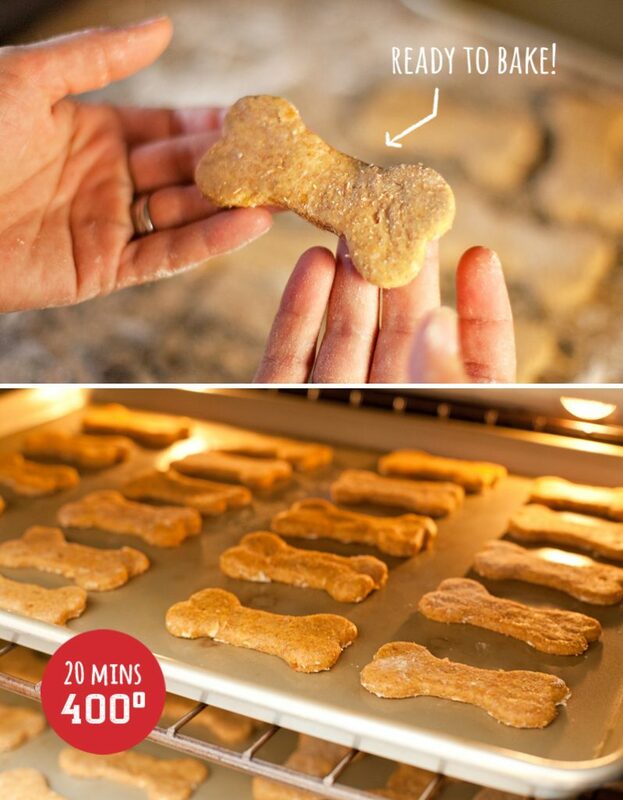 So, first up are these cute and easy, Game Day Peanut Butter Dog Biscuits. 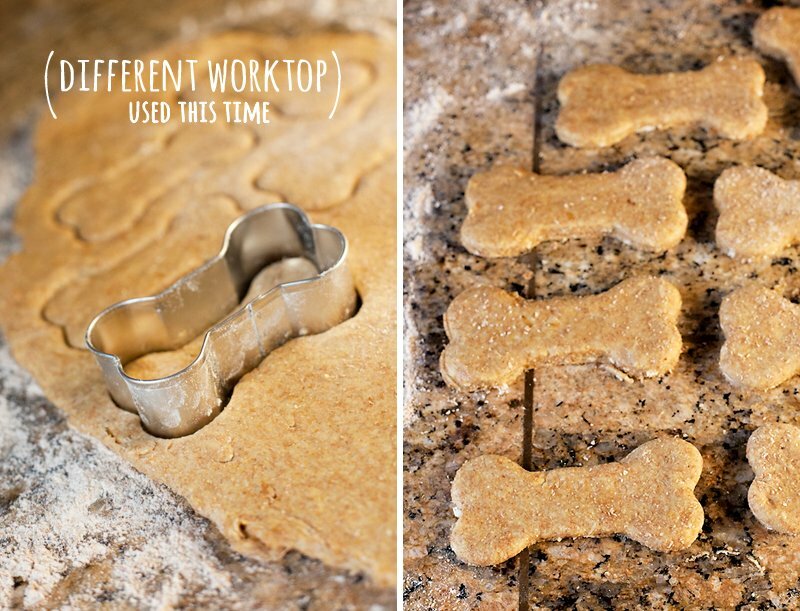 They retain the traditional “dog bone” biscuit shape, but become reminiscent of little footballs with a quick decorating trick. (I also made sure that the peanut butter I used did not contain Xylitol, to be extra safe.) 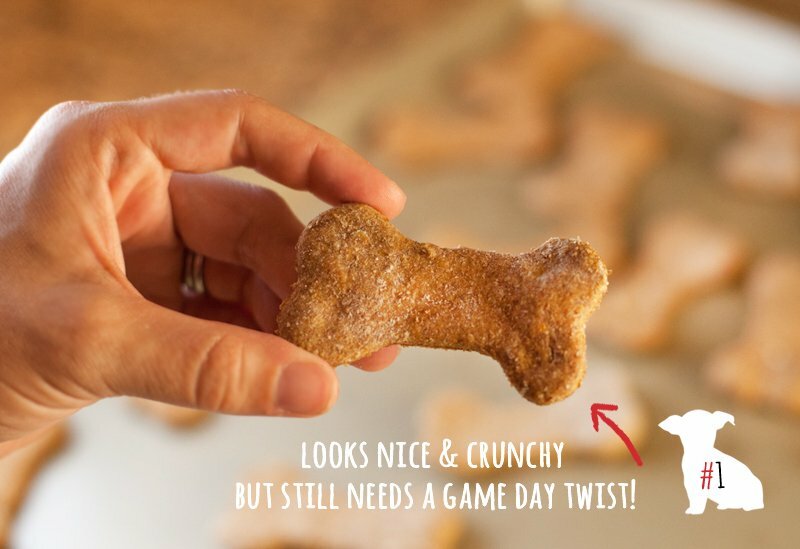 In addition to serving as fun game day treats for your own pet, these would also make for a super thoughtful gift for your fellow pet-AND-football-loving friends! 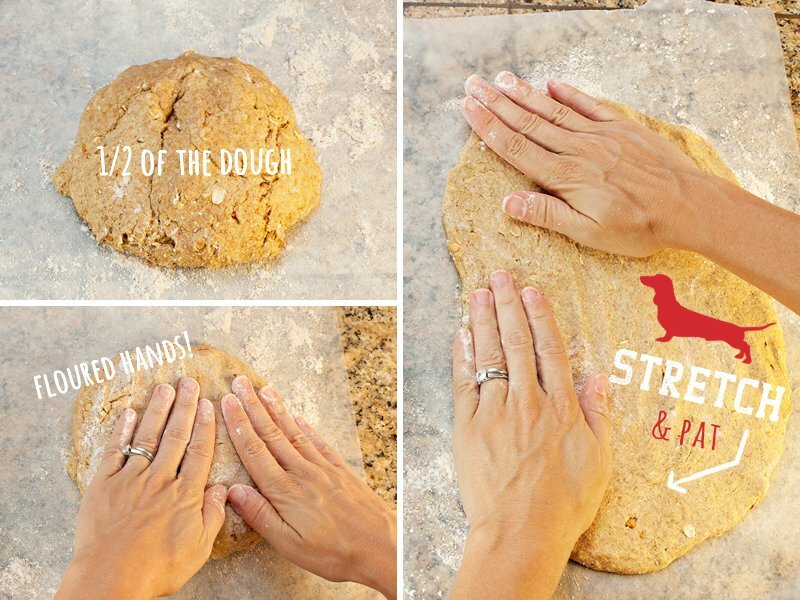 Once the dough is pretty well stretched, use a floured rolling pin to get it nice and flat – and around 1/4″ to 1/2″ thick. 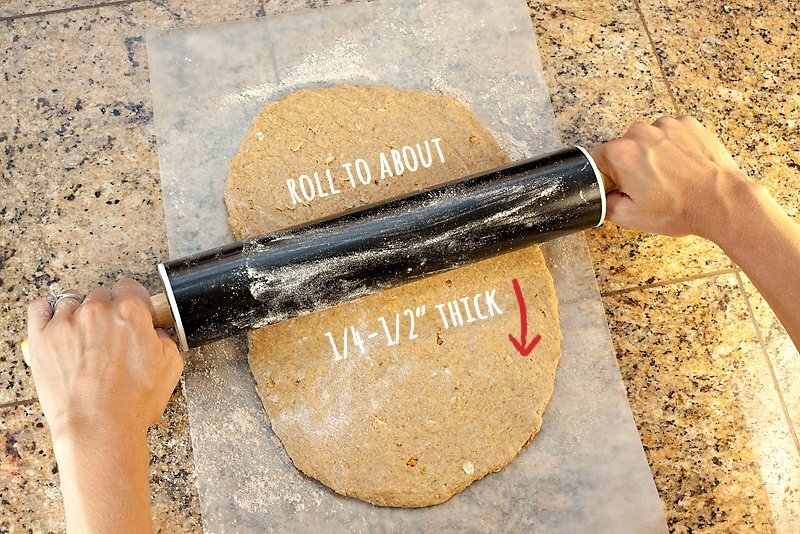 Side note: I rolled the 1st half of my dough out on floured wax paper like the original recipe called for, and the 2nd half out directly on my (also floured) granite counter top. I found it a little easier to peel the shaped dough off of the granite, but either method works well as long as there’s plenty of flour. You could also use a large cutting board as your surface. Place the biscuits on ungreased cookie sheets, and place them in a pre-heated 400º oven for 20 minutes, then turn the oven OFF and leave the treats in the oven for another hour. 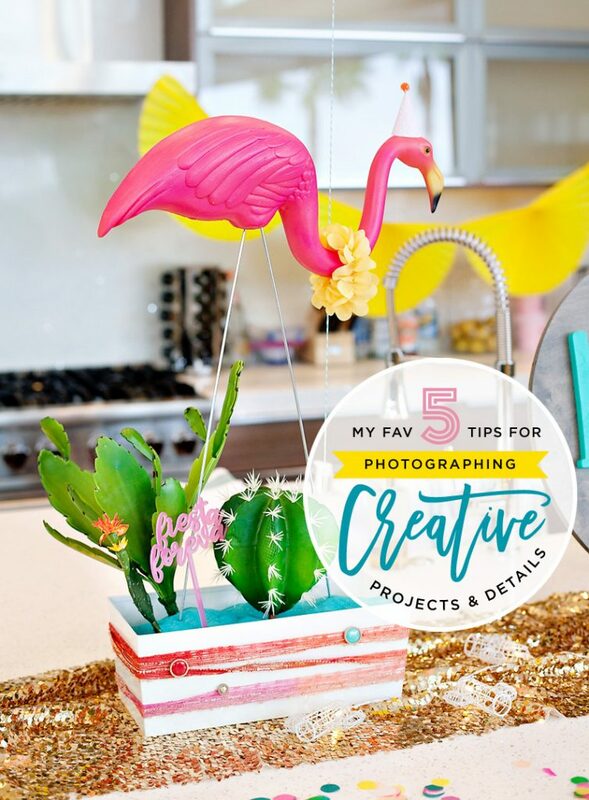 It’s helpful to set another time for the last part so that you don’t get distracted by another project and forget about them. 5. 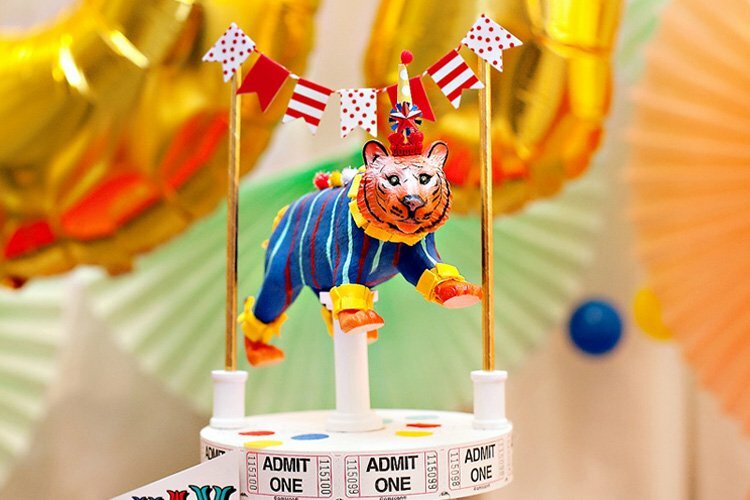 The icing on the treat. 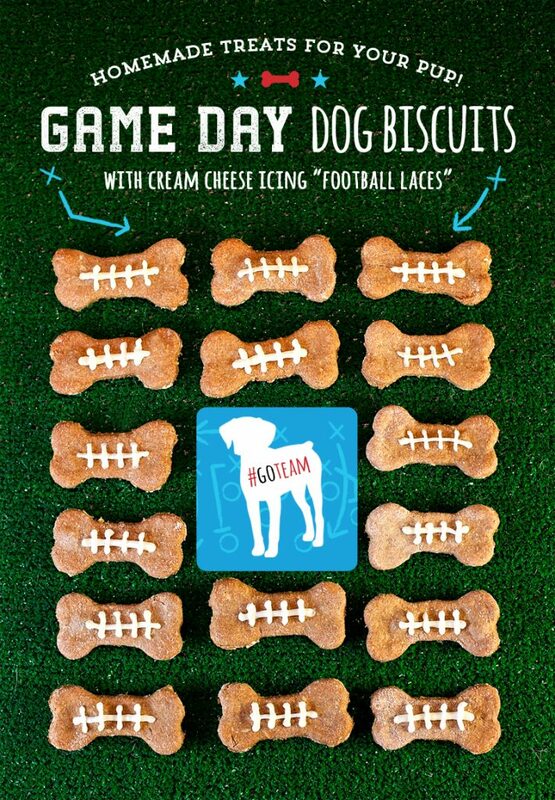 Now you could just give the biscuits to your pet like this, but since we’re talking game day here, I thought they needed something a little more fun (yet still EASY!) 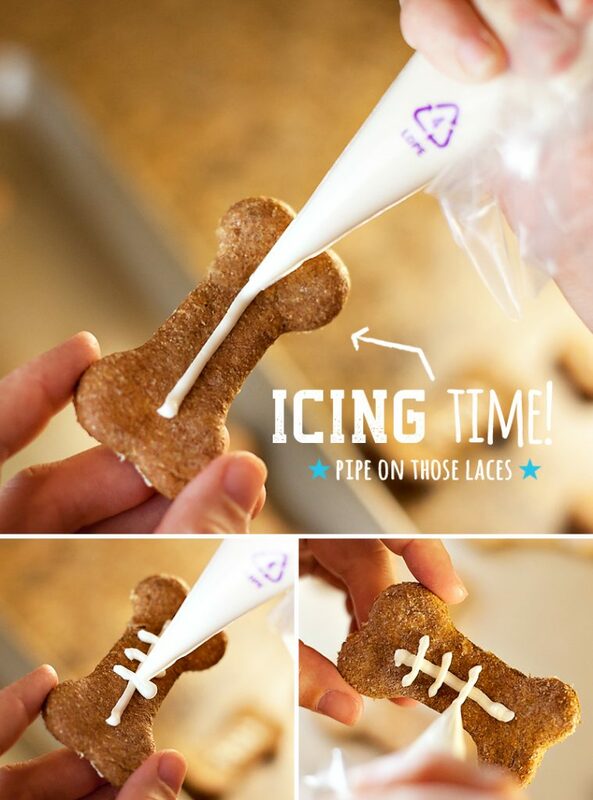 like football inspired icing “laces”. 1. You’ll probably have some leftover icing. 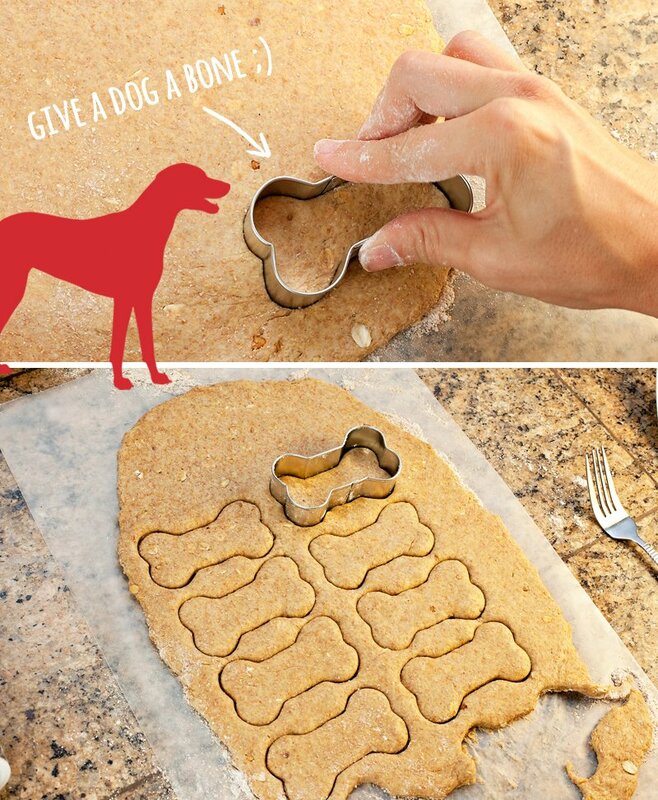 Since the ingredients are cream cheese, honey, and vanilla… save the leftover icing for a human treat! 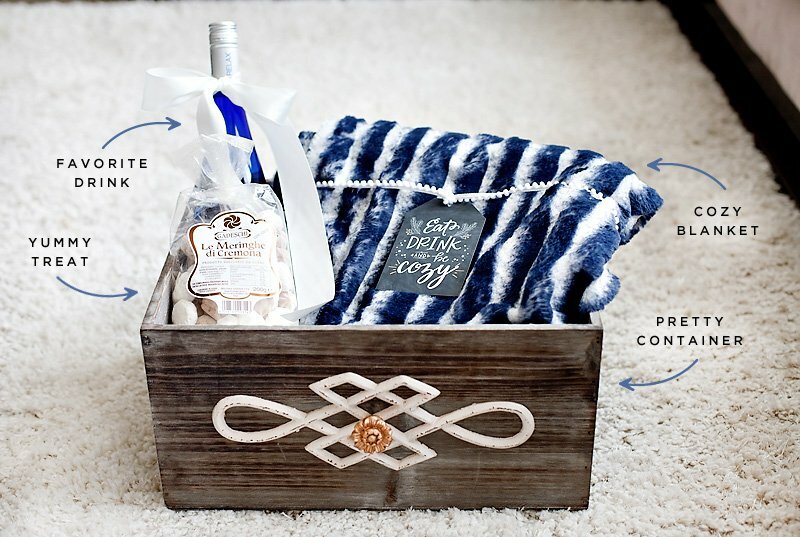 Hint: pairs well with fresh fruit or graham crackers. 2. If you don’t need the full batch of treats right away (the recipe makes A LOT), just ice a portion of them and save the extra icing (in the bag) in the fridge so that it’s ready when you need it. P.S. 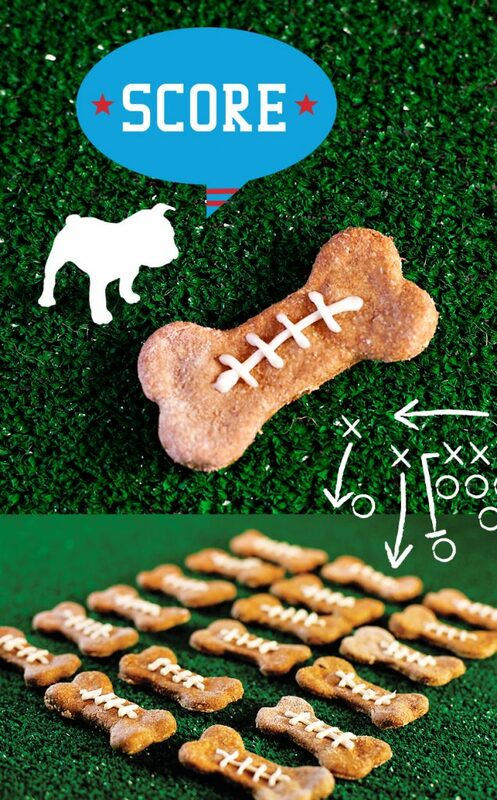 For more creative game day ideas with your pet, check out the Pet-Friendly TAILgate that I designed for Petco earlier this year… complete with an extensive set of Free Printables! Disclosure: This is a sponsored post created in collaboration with Petco. As always, all designs, opinions, and ideas are my own. 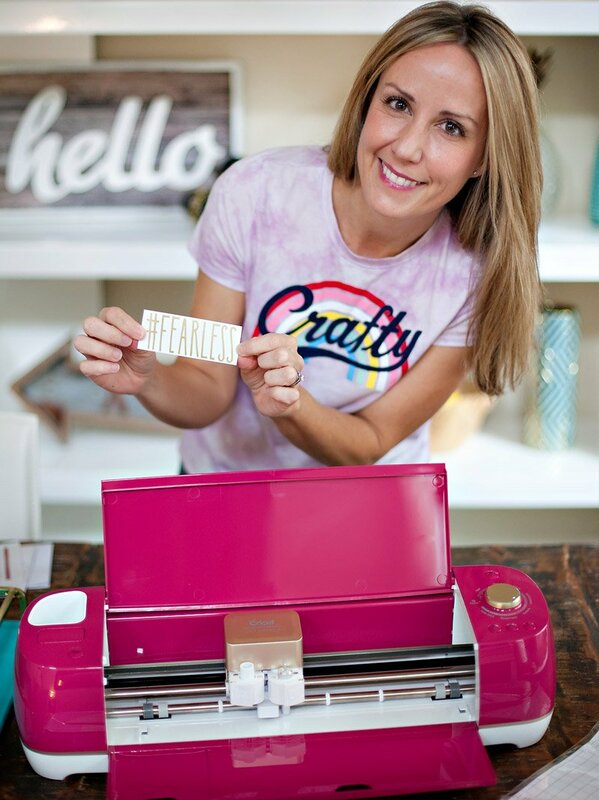 Thank you for supporting the companies that make it possible for me to keep the creative content coming your way!